Recently we started to wire up our Project Way-Gone ’66 Chevelle Wagon with a complete Painless Performance Pro-Series wiring harness. We wanted to start from scratch to have a trouble-free wiring system in the car. But we got to wondering, what if we do have to splice? What’s the best way? 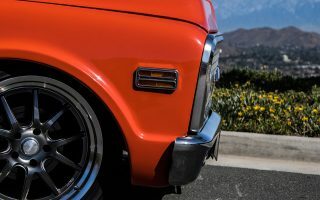 If you’ve ever worked on an old car or even a new car that’s been modified you’ve seen just about every connection imaginable. We’ve seen household wire nuts, wires twisted together with electrical tape, splice connectors, soldering, or pinched together by a bolt. Sure these will work to get electricity to flow – but they aren’t reliable or safe. Best case is they stop their connection and you’re stranded on the side of the road. Worst case is your ride goes up in flames. Why isn’t soldering the best connection? There’s a multitude of reasons we found out. 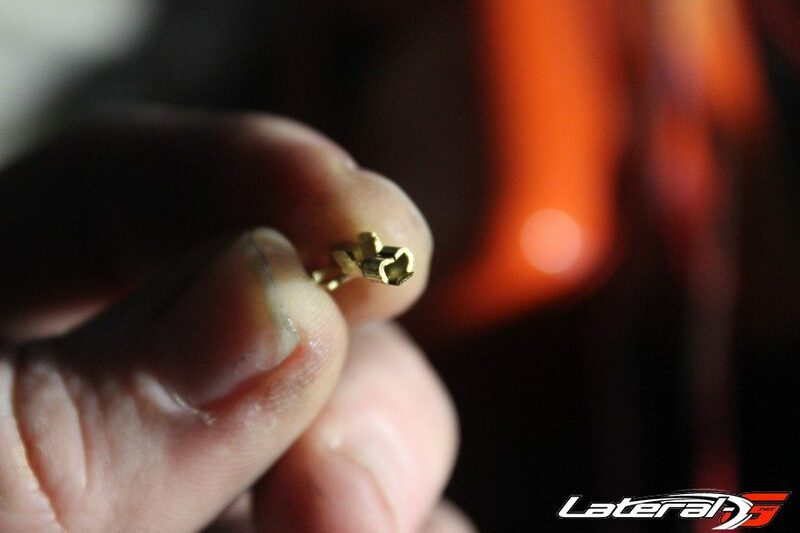 First and foremost is that solder is a relatively brittle material. What this means is that yes it’s a good connection, but not in an automotive application where there’s thousands of miles of vibration. For the same reason soldering isn’t ideal in an automotive application, wire nuts or just twisting the wires together is equally bad. These are not reliable or suitable connections in an automotive setting. Thankfully we don’t see this too much but we do see it from time to time. What’s the best connection then? Crimping. You might be thinking there’s no way that’s true, but Painless Performance told us it’s true. With almost 30 years in the business, tens of thousands of wiring harnesses sold, and millions of feet of wiring, they would be the people to know. “The best connection is a crimp with plastic cover, or a non-insulated terminal covered with a high quality heat shrink to protect the connection. This will provide a connection that doesn’t weaken the wire, isn’t prone to breakage with vibration and the plastic insulation or heat shrink cover protects the connection while also helping to relieve strain in the wire at the connection,” Dennis explained. A proper roll over connection – no wiring showing so you can see how its supposed to look when finished. When you think about it on a modern car, the only solder connections you’ll see are on the circuit boards where there are no other options. They run continuous wire except where there are plugs. With our Painless Performance harness we will now be in the same boat. 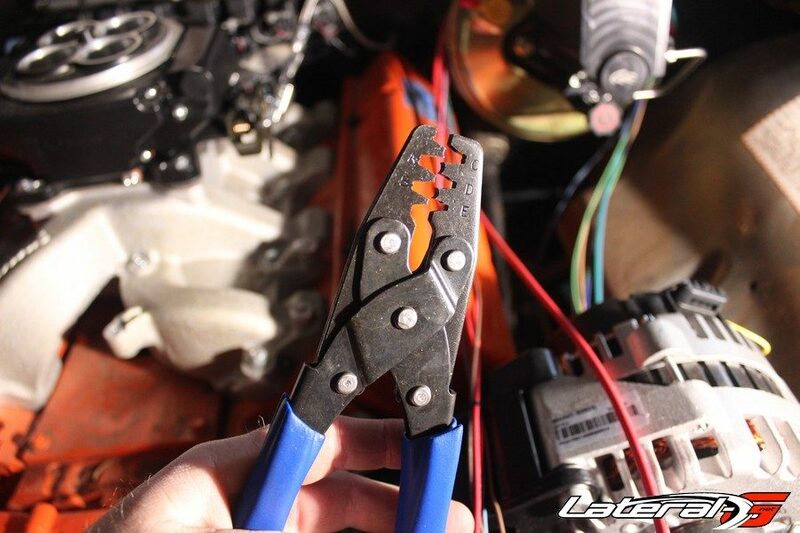 Just like every other aspect of building your car, there are proper tools for the job. Grabbing a set of pliers and trying your best to crimp is only going to create issues. Different terminals require different tools, all of which are laid out in the start of the Painless installation manual. Take your time, use the right tools, and make sure you crimp how intended and you will never have an issue with that connection. 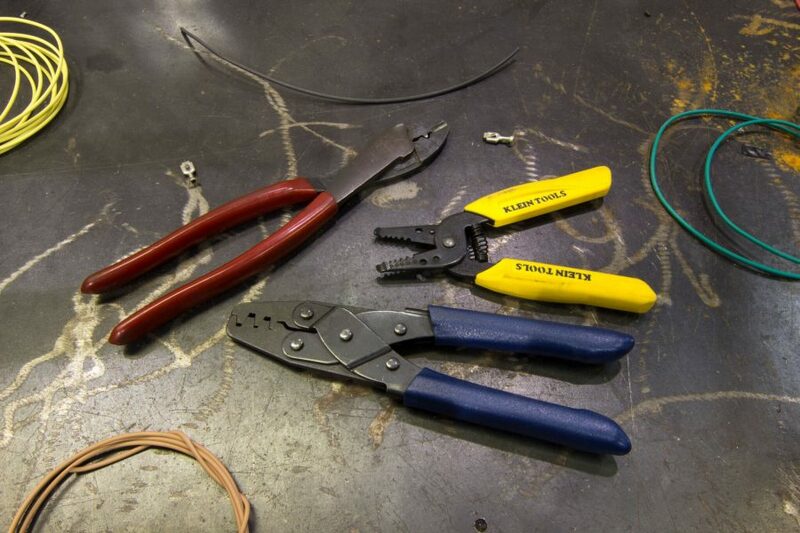 There is one thing for certain, the few connections we will make between the Painless harness and the Holley Sniper harness are going to be crimped – not soldered! These are the tools for a proper connection.